As more art and design connoisseurs are becoming interested in antique jewellery, more pieces are being brought to light on the small screen. Period television series are in demand these days and costume designers typically collaborate with jewellers to produce an authentic period look. 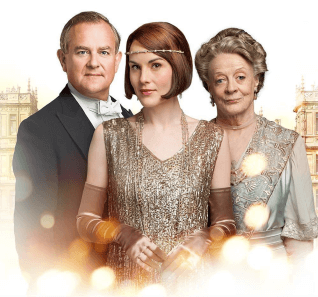 For instance, the costume designer for Downton Abbey, Caroline McCall, worked closely with jewellery designer Andrew Prince for some of the pieces featured in the show. Prince, who has an extensive knowledge in period jewellery, brought a historian’s eye to the items he created. Since the show itself has jumped from period to period, Prince had the pleasure of replicating jewellery from the Belle Epoque and the Art Deco eras. 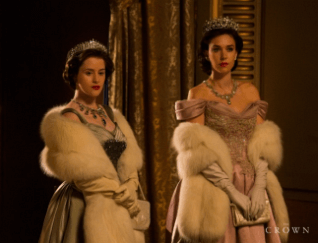 Netflix’s The Crown, which follows the life of Queen Elizabeth II and the royal family, also accurately displays the queen’s jewels. Town and Country Magazine mentioned that hours of archival footage were studied by the show’s costumer designer, Michele Clapton, so she could faithfully reproduce the details. For example, she recreated the basket-of-flowers brooch given to the Queen by her parents after the birth of Prince Charles. The jewels help tell the story, and it is widely known how the Queen has an extensive collection. Clapton has also replicated the three bejewelled crowns the Queen wore on her 1953 coronation. Because of her skill set, Michele Clapton was tasked to create pieces for the phenomenal HBO show Game of Thrones as well. Set in a fantasy version of medieval times, the pieces should not only be period-inspired, but also symbolic to the characters that wore them. 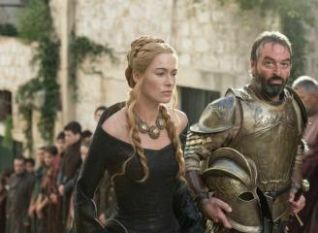 As an example, Clapton cited Cersei Lannister in an interview with Vulture and explained, “When she’s feeling insecure…. She wears these big, clunky gold pieces to show that she’s a Lannister and is important and has status.” Medieval jewellery, in general, is characterised by gold, silver, and precious gems that were polished rather than cut. Some pieces even had magical inscriptions which were believed to protect the wearer. As a globally influential show, Game of Thrones significantly helped to put period jewellery in the spotlight. In truth, several items on the show have been recreated by thousands of fans, including Joffrey Baratheon’s crown, Tyrion Lannister’s Hand of the King pin, and Daenerys Targaryen’s dragon necklaces. Many of the objects even have virtual representations, as seen in video games associated with the series. The Iron Throne, for one, is a prominent symbol in the Slingo slots title Game of Thrones 15 Lines, in addition to the iconic family sigils of Westeros. Replicating the elements of the series is a testament to the impact the show’s jewellery has had on pop culture in general. This in turn has also shone a light on the vintage jewellery industry, especially after the period-inspired designs are prominently seen as part of the costumes typically worn in the show’s episodes. But although people are very much welcome to appreciate the beauty of these pieces, evaluating vintage jewellery is still best left to the experts. If you need assistance on such items, don’t hesitate to get in touch through our Contact page. Great read, I love vintage jewellery. Its interesting to see classic designs used in modern TV and films.